Merry Xmas and Happy New Year in 5 more days. I just finish carving my first turkey of the year since I declined all the festive hotel food reviews this year due to hectic work schedules. I just love Malaysia with its diverse culture and religion that no other place you can get these experience. I get to celebrate 4 different major festival from different races. So Xmas was yesterday and next month we going to have Thaipusam and Chinese New Year. To welcome the year of horse, I was invited by Lai Po Heen Chinese Restaurant of The Mandarin Oriental Hotel KL to sample and share the info of what you can expect from this award winning restaurant from 16 Dec 2013 to 28 February 2014. Chef Ricky Thein and his team are whipping up flavourful dishes specially designed for this celebration with a healthy body and nutritious in mind. 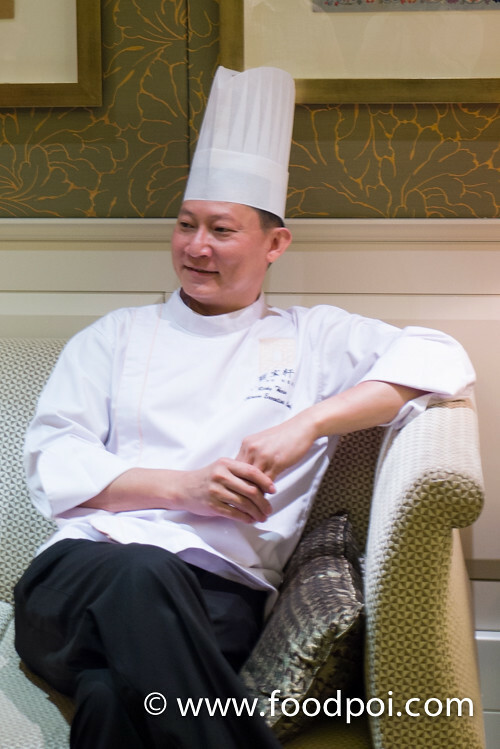 Most of his dishes were created with finest ingredients obtained locally and imported from around the world. 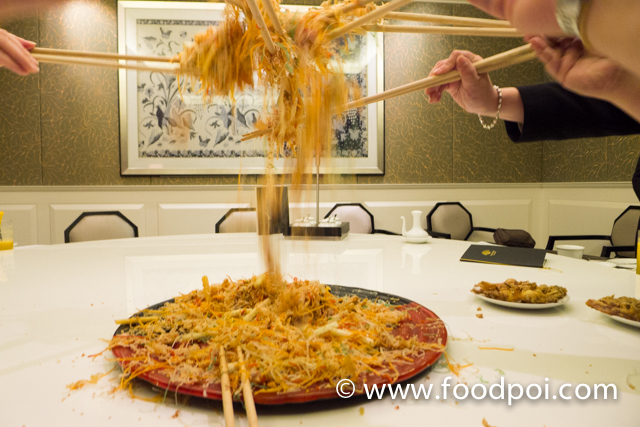 This is the signature culture which we called it Yee Sang tossing ceremony to commemorate the prosperity year ahead. 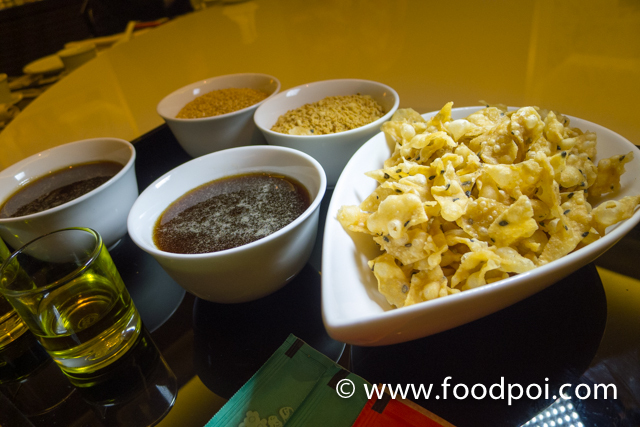 The special premium sauces prepared by chef Ricky’s team ie. Plum sauce, sweet sauce, sesame seed, crushed peanuts, extra virgin olive oil, crispy crackers and spices as the main dressing for the yee sang platter. 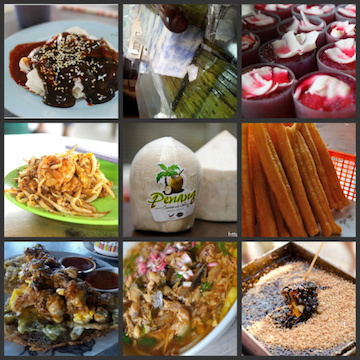 The culture which origin from KL Pudu were a culture that signifies more prosper if you toss it higher. Each of the colors and spices when mixed together by the captain of the restaurant brings a special meaning. This is how it looks after the toss. It may look all messed up but it is all OK and symbolise flourish year ahead. Huat Ah!!!! 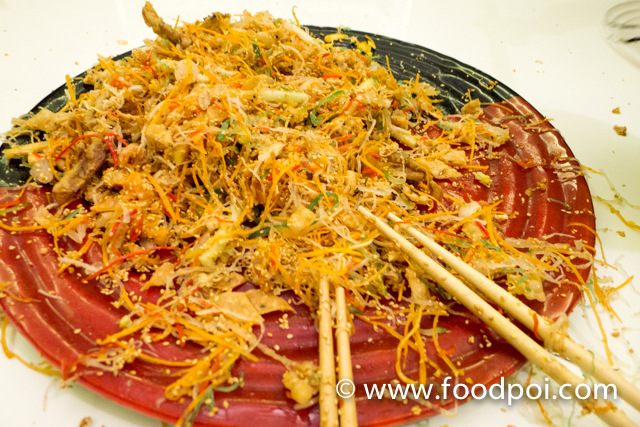 The Yee Sang were priced starting from RM88++ to RM338++ for half portion and full portion respectively. 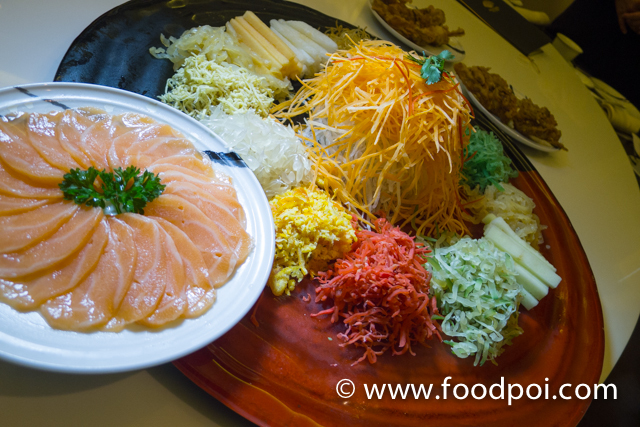 The restaurant will be serving 3 festive set menus this year where the Fortune Set menu includes Salmon Yee Sang with assorted vegetables and shredded fruits. 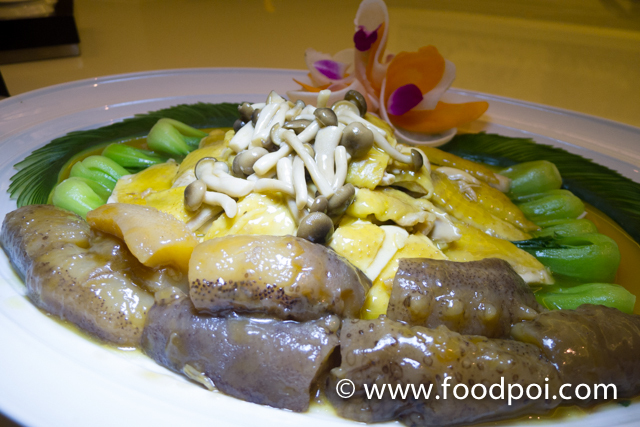 In Chinese Tradition, any festive banquet table must have YUE, HAR, HAI which is Fish, Prawns and Crabs in Cantonese. The semi transparent soup displayed a clear look of the seafood treasures which used to boil this bowl of wonderful soup. Being a shark friendly hotel, they stop serving sharks fin soup which is a Chinese MUST HAVE delicacies during festivals lunch/dinner. 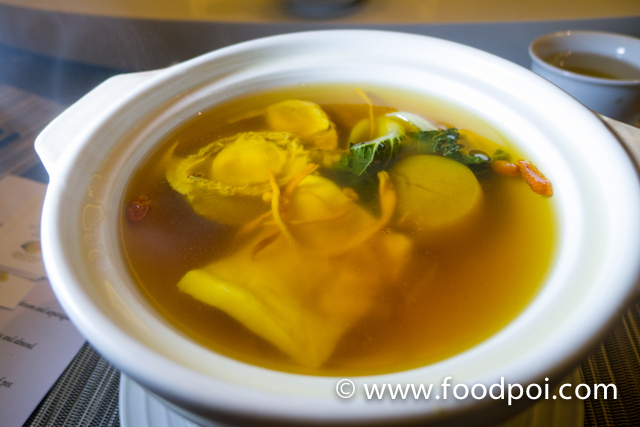 This soup were a combination of various sun dried premium seafoods ie the abalone, fish maw, large dried scallop, ming mu fish, cordyceps and pak choy with wolf berries. Every spoon is filled with the taste of the well balanced combination of all the ingredients. 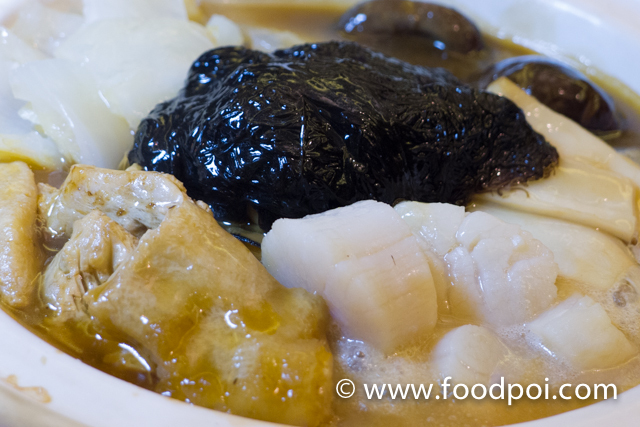 The abalone and fish maw were always give the impression of being like a rubber are done perfectly here. It is just nice and not too hard and nor too soft. The cod fish fillet are thick and that piece of morel mushroom with prawns filling are making the whole good luxurious impression to your guest alongside with the abalone soups. 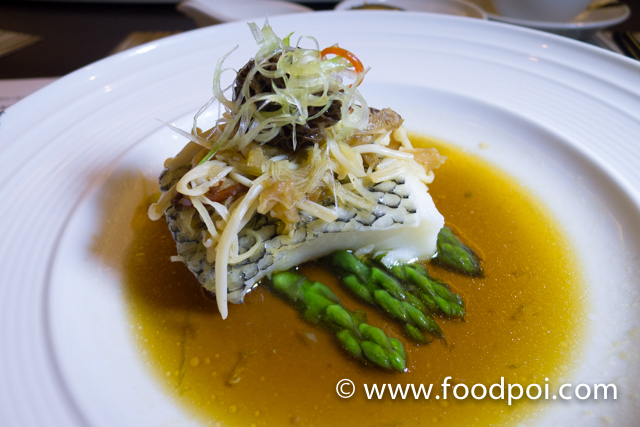 The asparagus also fit in just nice that absorbs the premium light soya sauce with the fish juice from the steaming process. 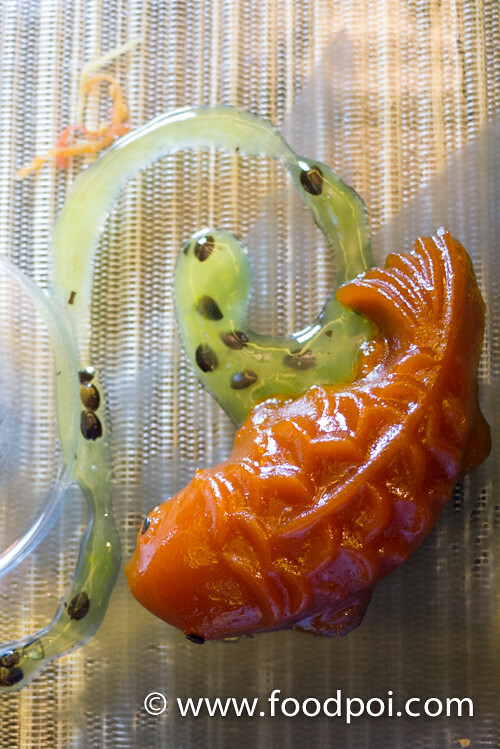 Simmered corn fed chicken with Chinese Herbal in supreme golden broth, baby Pak Choy paired with highly nutritious sea cucumber are a norm served on any big day celebration. 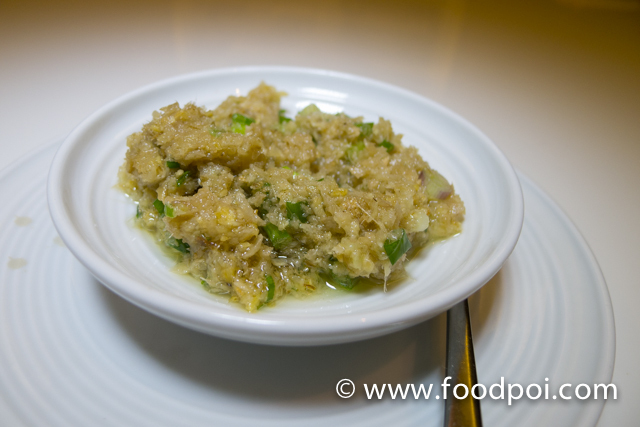 The chicken meat were tender and best enjoyed with the ginger garlic mix prepared just for it. The garlic ginger mix for the chicken that getting rid of air inside our body. Lai Po Heen’s Chinese new year “Fat Choy” sun dried seafood pot that comprise of thick black mushrooms, scallops, bean curd skins. A great choice of tuning our body back to the perfect balance internally. You can taste and taste the birds nest strip texture piece by piece. Normally birds nest are served warm but Chef Ricky turned it into a refreshing dessert with an edible gold leaf as decoration. 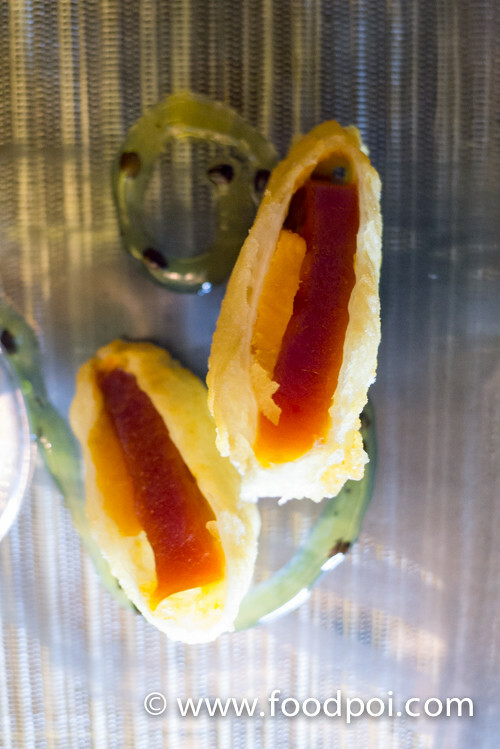 Glutinous rice cakes are crafted into a fish rather than the typical old school shaped rice cake. The green lines were not just for decoration in fact it is the dipping sauce for the rice cake. 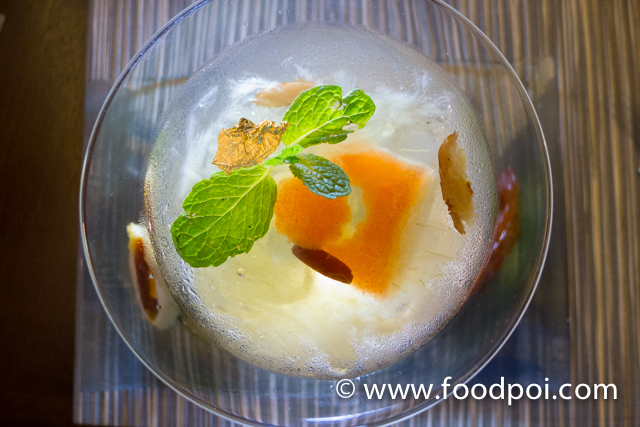 It is a passion fruit sauce which goes along perfectly with the rice cake. 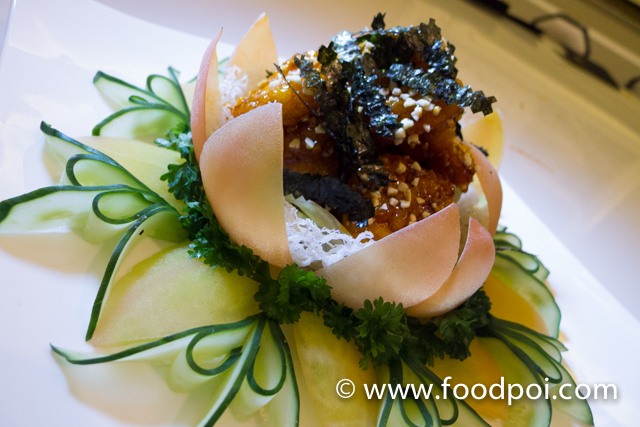 Rather than the traditional rice cake which deep fried with batter and sweet potato. 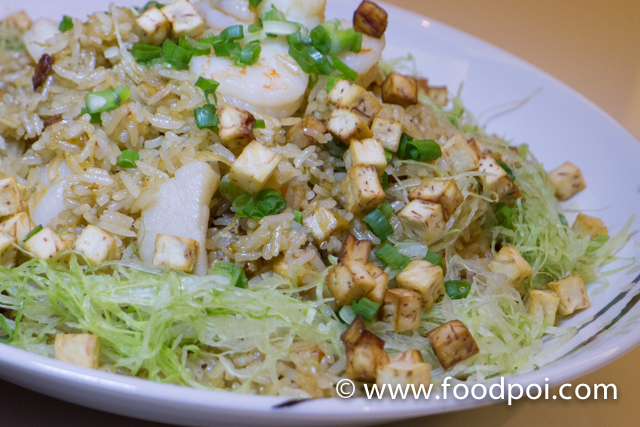 At Lai Po Heen, this is made with a twist that are done with mozzarella cheese. 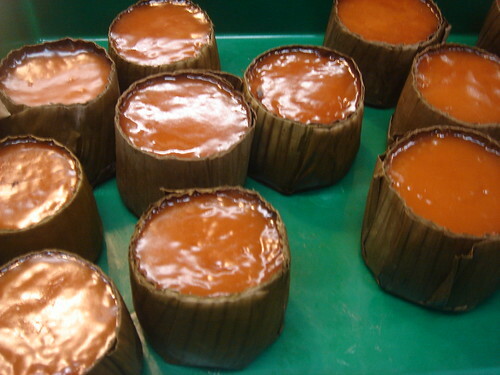 Still this is one of the best dessert during Chinese New Year. A range of set menus were tailored for the guest who want to celebrate CNY in KL. As you know that most of the restaurants will be closed during the CNY period and hotels is the best place and convenient for family and guests to gather to dine in comfort without letting down on the foods quality and presentation.